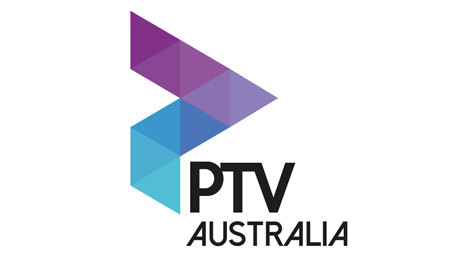 PsychicTV - coming soon to Australia !! Due to an exciting change of venue I am now able to offer classes again to all those who want to develop their intuition and psychic ability. All classes will involve meditations, psychic exercises, discussions and skill development but please contact Sara about your attendance. Classes will be held on the 1st Wednesday of the month. May 1st, June 5th, July 3rd etc. Come to Frances Young Physiotherapy - 129 March Street. Walk through the front gate and follow the path to the front entrance. The exciting new venue where I will be located from May 1st onwards. Perfect rooms for classes and workshops. Find on Google Maps. If you've ever felt that you sense or feel things that there is no logical explanation for then come to a Beginners Workshop and discover your hidden intuition. As the Beginners Workshop class progresses an Intermediate Workshop will be offered in the middle of the year. Sunday 17th February 2019 - booked out. For those who have attended the other workshops and really wish to explore a deep connection with spirit!! I will be holding a workshop on Auras for all those interested in beginning to develop their ability to see body energy and auras around people. Bring your own lunch and water bottle Please RSVP through the contact page as I need to allow for space and numbers. The Dubbo RSL are kind enough to welcome me every January and July for 3 days, to do readings for the people of Dubbo and the Far West. It is thanks to Sharon, Kerry and the team at the RSL that I receive such a warm reception. Due to the volume of readings out in the Central West I will not be attending the MBS Festival. I feel it better to use my mediumship for country people and those that cannot get to the city. I thank all my lovely city MBS clients as I have met the best people and I am always available for phone or Skype readings. In 2015 I had the wonderful opportunity of hosting my own 1 hour show, live across the UK, on PsychicToday.uk Due to their strict laws on what psychic information can and can't be spoken on TV (which I fully understand and respect) I chose to finish the show after 6 months. I wanted to talk about loved ones passed but couldn't so decided to use my time where it was most needed. © 2018 Sara King Psychic Medium. All rights reserved. Site by xenologo.